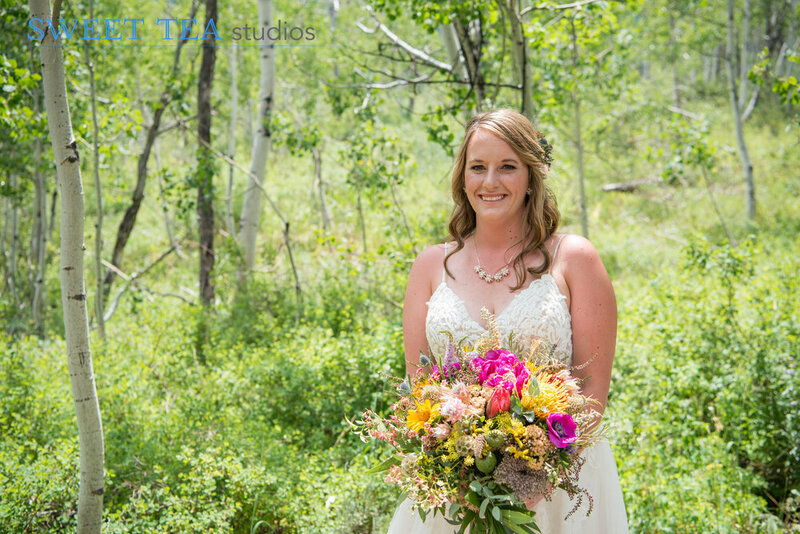 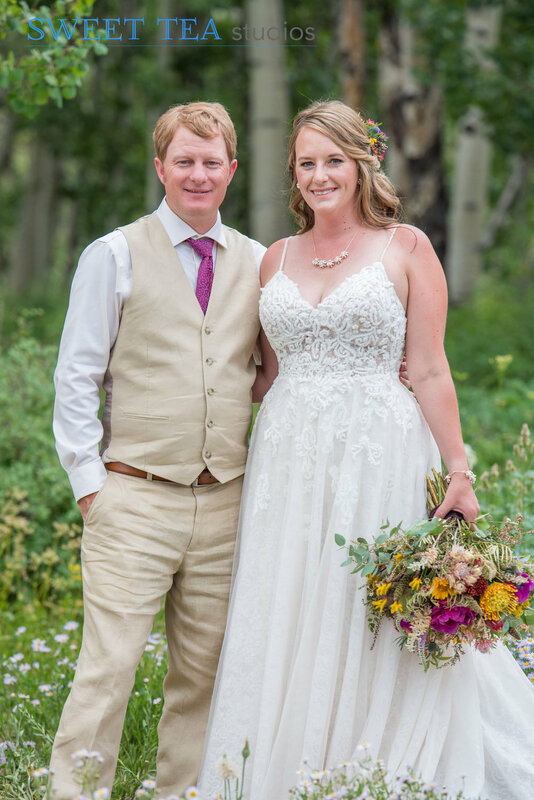 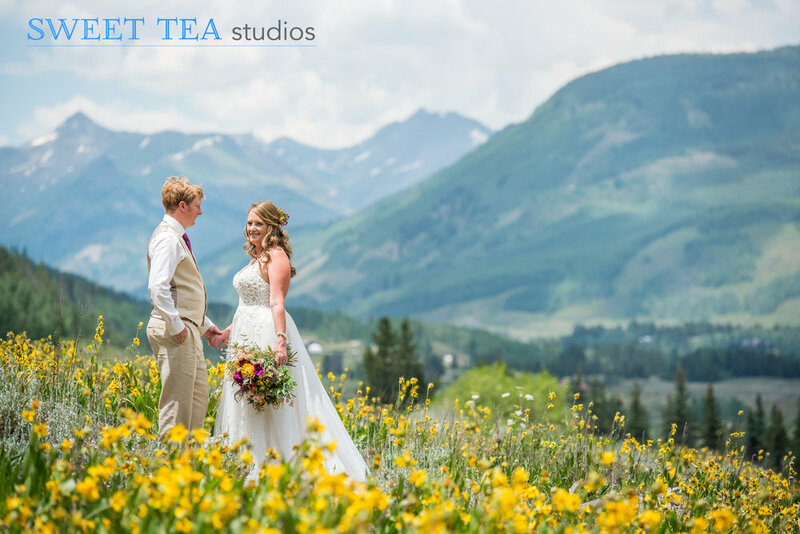 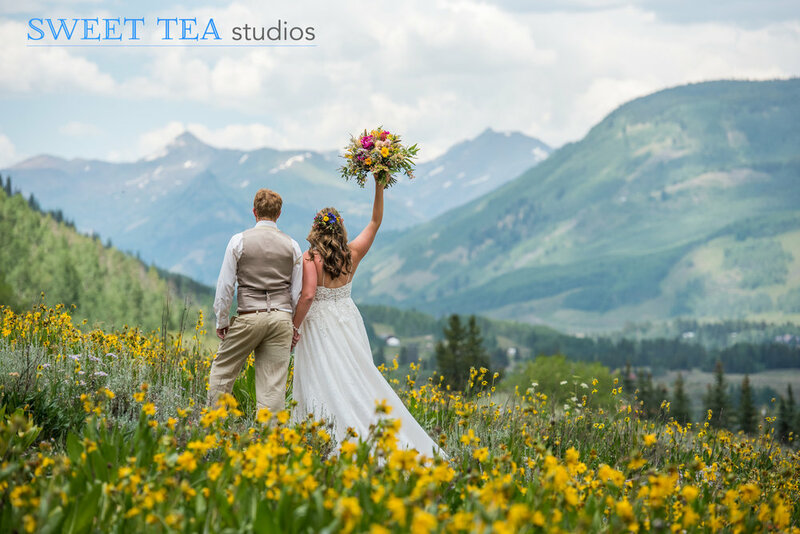 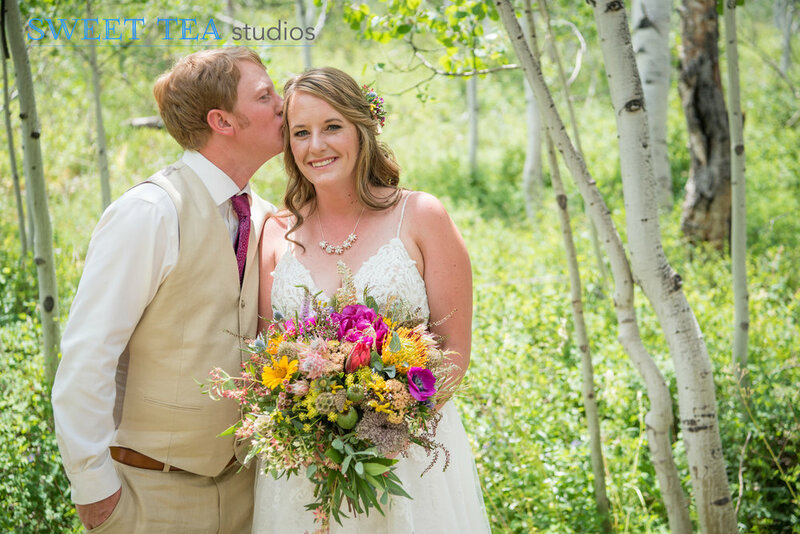 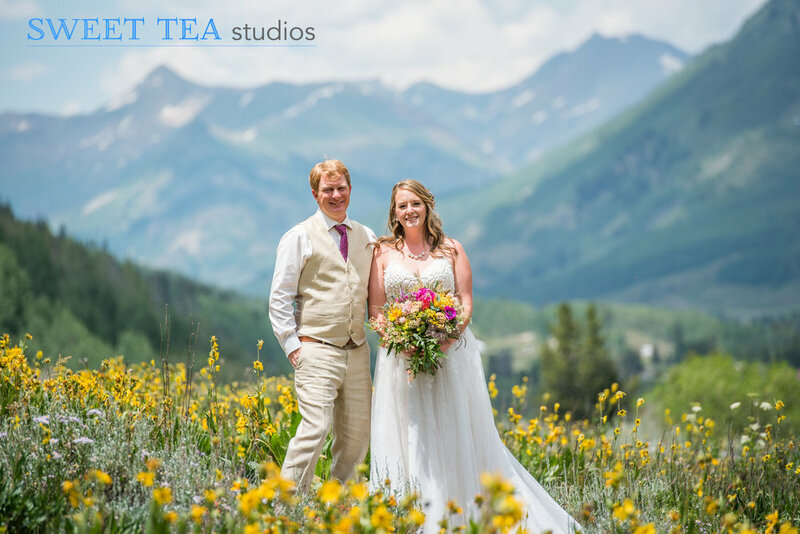 Jackie + Bryant’s first look and portrait session was in the middle of perfectly green aspen trees that opened up to a stunning view of Paradise Divide. 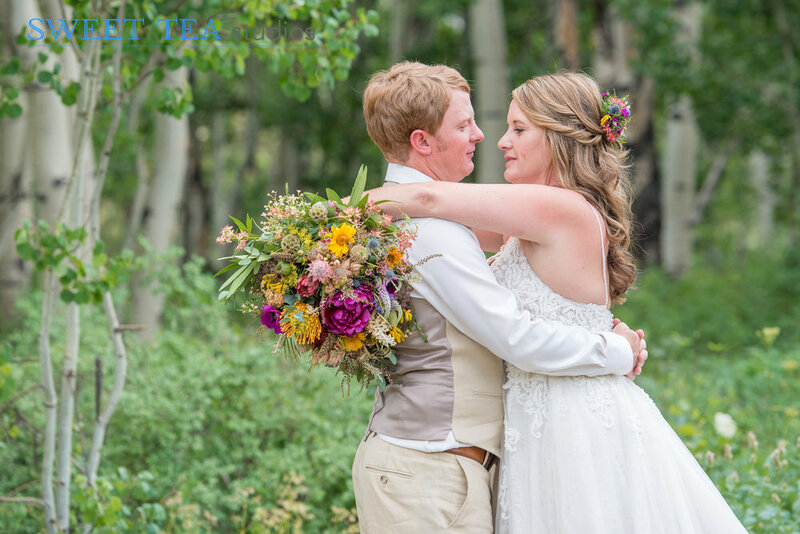 These two have known each other for so long, and it was really special to see their connection that was obviously built on friendship and love. 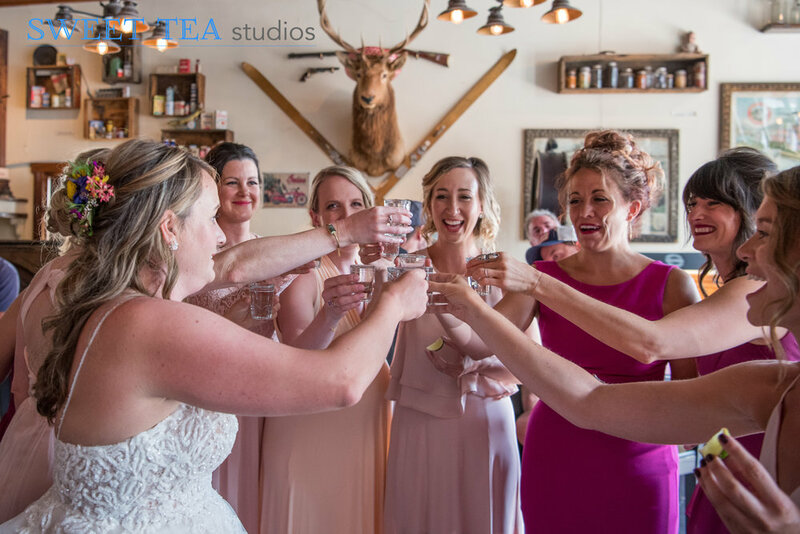 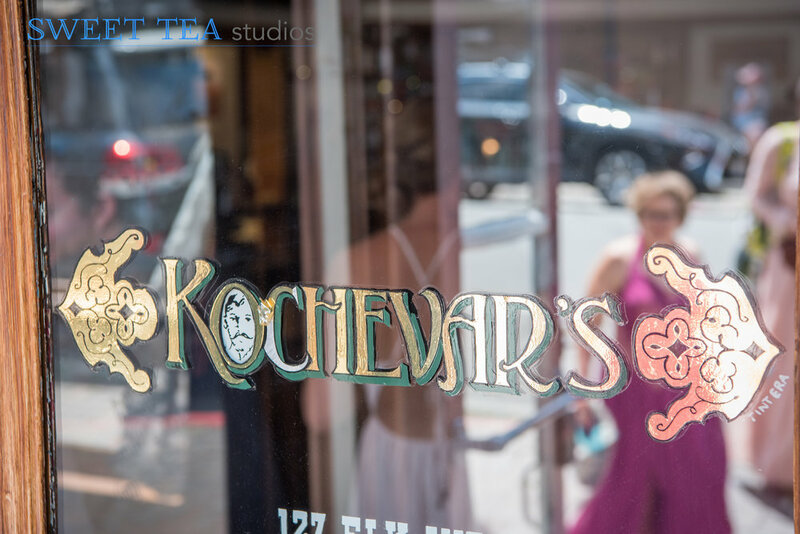 After their crew arrived for photos, we all met at Kochevar’s, their favorite watering hole in town for a quick cheers before heading to the I Do’s!